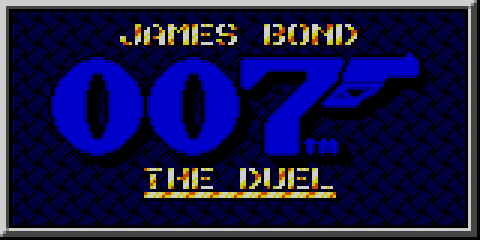 James Bond: The Duel ist ein spannendes Actionspiel für das SMS. James Bond is back, pitting his wits and firepower against many of his old adversaries in an attempt to rescue the daughter of Professor Michael Jones. Brilliant Multi-Screens and fantastic animated action make this a Master System Tour de Force. I can be contacted via email at tjr10 [at] h o t m a i l . c o . u k (Replace the [at] with @ and remove all the spaces). I make these guides for free in my spare time. I hope this guide was useful to you. Please feel free to leave me feedback or comments (tjr10 [at] h o t m a i l . c o . u k). You can even DONATE me money via PayPal to this email address (by removing the spaces and replacing the [at] with @) if this guide was particularly useful to you. A £1 donation would be reasonable. This will aid me to write future guides. Thanks.